“WordPress Pay per Post” allows a site owner to let users/visitors pay for a post on your site. 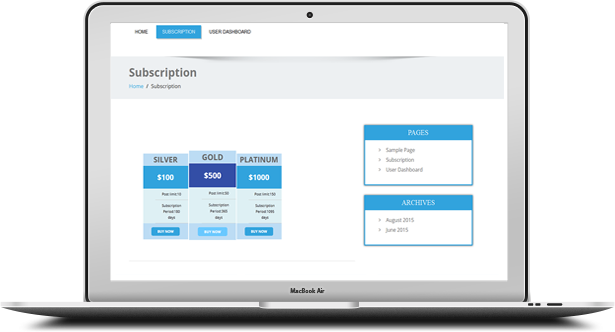 User can subscribe to their suitable package from “Subscription” page then add post or view information from “User Dashboard” page. “WordPress Pay per Post” allows only the registered users who can post content through paying some amount. 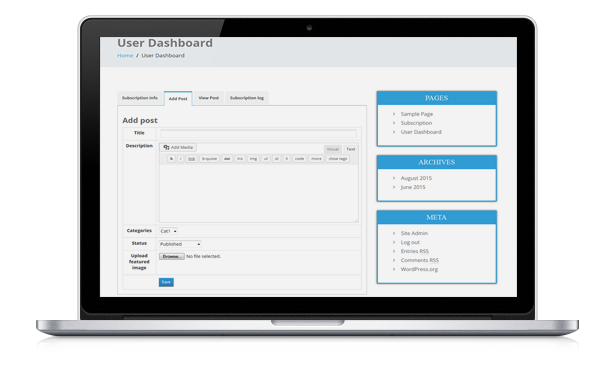 “WordPress Pay per Post” plugin is integrated with pay pal account. This plugin will provide you more security so only paid members can access the post or content. You can easily install the plugin and setup on your WordPress site. So if you need a simpler, secure and more effective pay per post plugin then download the plugin now. Allows site owners to let users/visitors pay for a post. User can subscribe to their suitable package. 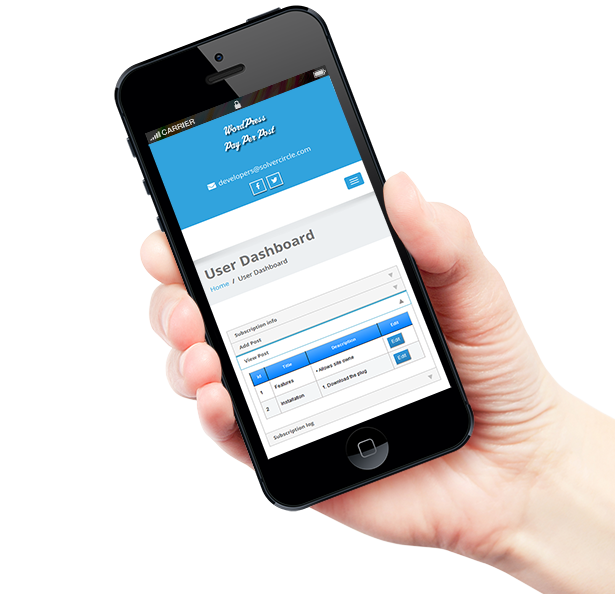 Allows only the registered users. 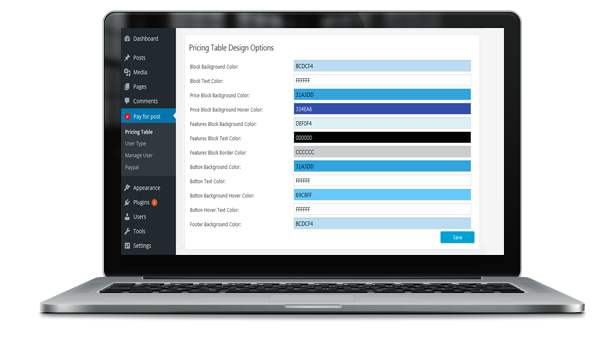 Customizable “Pricing Table”, design from admin panel. Site owner can design Block Background Color, Block Background Hover Color, Block Text Color, Price Block Background Color, Price Block Background Hover Color, Features Block Background Color, Features Block Text Color, Features Block Border Color, Button Color, Button Hover Color, and Footer Background Color of “Pricing Table”. 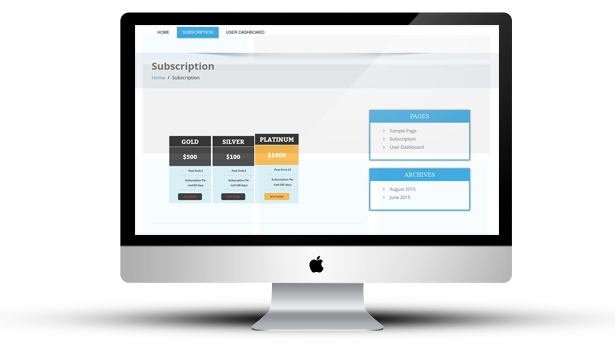 Site owner can set different “User Type” with Price, Subscription Period, Post Limit and Status. 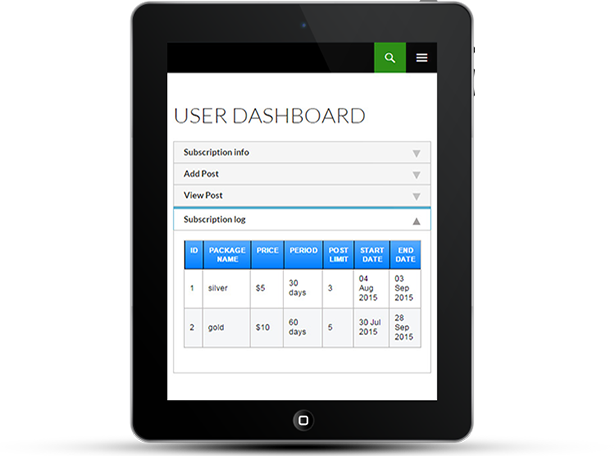 Site owner can manage user (active/inactive) from admin panel. Simpler and Effective pay per post plugin.